Learn how Davidus Cigars migrated 40,000 shoppers from an existing POS based program to a real-time, personalized marketing program that offers exceptional service. The Retail Pro and AppCard partnership gives retailers access to the critical tools and services that help simplify customer loyalty and redefine the customer experience. An 11-store Maryland cigar retailer, Davidus Cigars, is not new to driving customer loyalty, but they are at the forefront of exploiting these new technologies to turn their loyalty initiatives into true customer retention. Owned and founded by brothers David and Steve Castro, the cigar shops focus on providing the finer things in life in accord with everyone’s palate and budget, carrying everything from the established Padrons and Davidoffs to younger brands like Tatuaje and Fratello, as well as the unique house blends the Castro brothers collaborated to produce. They also cater to aficionados of alternative smoking, stocking products like pipes and their tobaccos, hookahs, shisha, snuff, and smoking accessories. At its core, the Davidus Cigars stores are customer experience-driven, playing the mellow host in their comfortably furnished smoking parlors. The diverse body of men, along with a handful of women, come to relax in the affective community built around this niche. The Castro brothers have always known that cultivating loyalty among their patrons is a top priority, and industry studies confirm the critical nature of the task. Research by the Center for Retail Management at Northwestern University found that 55 to 70 percent of total sales for a business come from up to 15 percent of the company’s most loyal customers, and retailers are keen on cultivating the same profit generating sentiment in all their customers. Davidus Cigars had been growing their business with Retail Pro since 1998, using the wealth of data to determine who their best customers are, and now they wanted an easy way to implement that data for smarter engagement. Consistent with Davidus Cigars’ focus on delivering a great customer experience, they were on the lookout for a loyalty partner that could help them automate all of their customer rewards and would provide modern tools to engage and connect them with their customers before, after, and during visits at their 11 stores. Operationally, Davidus also needed to upgrade to a real time loyalty program since many of their customers shop at multiple locations, even in a single day. They turned to their trusted Retail Pro Business Partner, J.D. Associates, for their expertise and consultation to help them pick the right solution. Based on J.D. Associates’ recommendation and Davidus’ own internal review, they selected the Retail Pro Strategic Partner, AppCard, for their turnkey, cloud-based loyalty system, which is fully integrated with the comprehensive Retail Pro retail management software. The Retail Pro platform gives AppCard the data backbone for their innovative three-pronged approach of loyalty, analytics, and personalization. 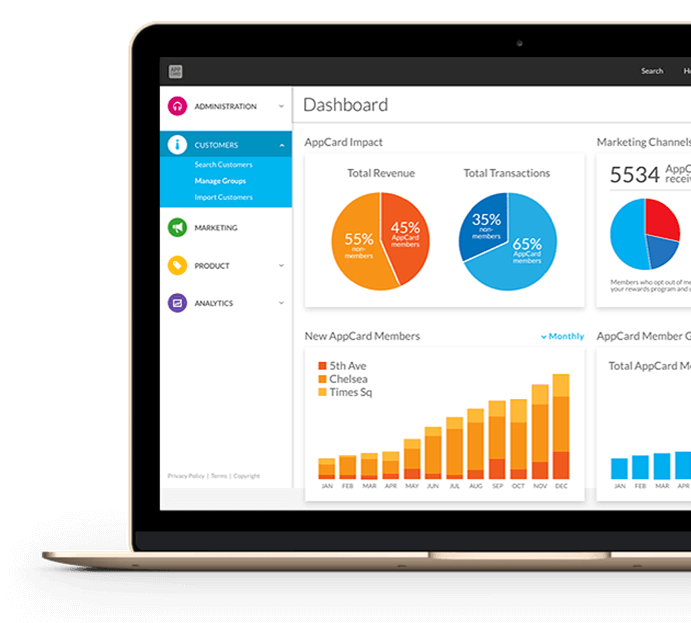 In essence, AppCard turns data captured by the Retail Pro software into insights, and insights into personalized communications, offers, and rewards. Once migrated, the out-of-the-box simplicity allowed Davidus Cigars to train their employees in a few short weeks, so they felt comfortable engaging customers. “It was great to see customers engaged at the Point of Sale, looking at their rewards on their smartphones and enjoying the visibility they had into the program. The employees were also happy knowing there now was a way to directly communicate with their customers via the Davidus Digital Storefront in the AppCard App,” says Heather Sullivan, who was part of the AppCard team for on-site training. 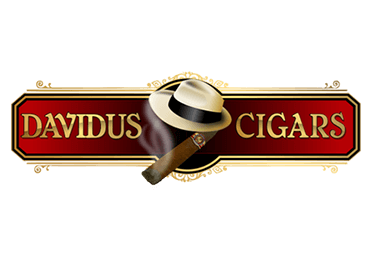 The Davidus Cigars leadership team appreciates that they have complete permissions control over points management, thereby eliminating employee error and the possibility of fraud at the Point of Sale. With AppCard, their customers now earn rewards and all redemptions are updated in real-time across all 11 stores, thereby eliminating the previous administrative and customer service issues that resulted from customers visiting multiple stores on the same day. In only two months, Davidus Cigars has signed up thousands of members to their new loyalty program and the data already shows impressive statistics around the impact of their loyalty initiatives. Across all stores, the Davidus team has an average of 70% of all transactions tied to a loyalty member. This is a testament to the Davidus Cigars leadership team and employees’ commitment to the program. The average ticket is 16.62% higher with a 19.71% increase in products sold per transaction for AppCard vs non-AppCard, helping Davidus increase top-line revenue. The beauty of the integration is that retailers can expand on the wealth and deep precision of Retail Pro reports, adding the near real-time transactional data dashboards via AppCard. Managers use these immediately actionable insights as the basis for their decisions on which brands to promote to loyalty program members to stimulate additional purchases and capitalize on current trends. AppCard’s focus on personalization, however, is what takes them beyond the basic features that are common across the board with loyalty companies. According to a 2013 Maritz Loyalty Report, 94% of loyalty program members expect retailers to communicate with them on a personal level that stands apart from the mass communications that retailers send to members and non members alike. Loyal customers want messages that are tailored to their status as a loyalty member, and the ability to personalize their communications gives Davidus Cigars a platform for extending the customer experience beyond the humidor and lounge. The loyalty application fosters an affective continuity with the retailer when the customer is away which sparks excitement and keeps them coming back. The new loyalty rewards, and especially the reward of a $100 gift card, have already produced favorable results, generating repeat sales and much excitement and talk among customers. The Castro brothers aim to capitalize on this growing interest further with future plans for unique redemption items, like the eccentric four foot ceramic cigar they display in their stores. “It would be a point of pride in any man cave for cigar enthusiasts,” Canon commented. Davidus intends to make use of many of the AppCard advanced marketing tools. Integrated to their Retail Pro, these tools allow Davidus to reach out with tailored offers based on individual shoppers’ brand preference and product line favorites, all of which are tracked through the Retail Pro software. With relevant and personalized rewards and offers guided by comprehensive data, Davidus Cigars can now strategically target promotional efforts to customers who have proven themselves to be fans of the Davidus experience, and the retailer looks forward to leveraging their new application for further increase of repeat purchases among loyalty members.